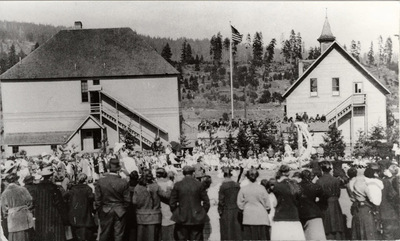 "Schools - Roslyn, Washington "
Crowd of people watching an event on the grounds of South Side School in Roslyn, Washington. "Schools - Roslyn, Washington " (1920). Frederick Krueger Photographs. 682.